Episode 4 of The Paste Podcast is our Barry special episode. 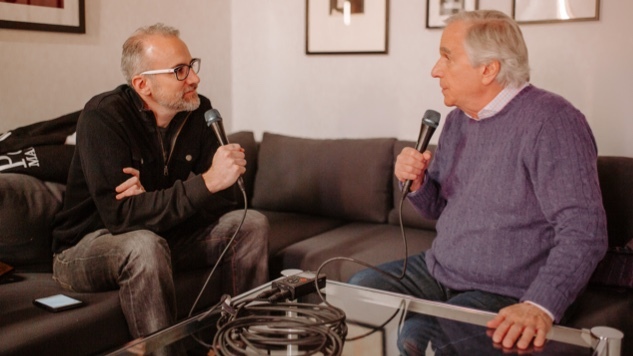 We talk to Henry Winkler about Season 2 of Barry, how he landed the role of the Fonz two weeks after moving to L.A. and his experience working with Wes Anderson for the first time on his upcoming film, The French Dispatch. Keri Lumm interviews D’Arcy Carden about her roles on Barry and The Good Place. Host Josh Jackson talks Game of Thrones with our in-house experts Shane Ryan and Amy Glynn in anticipation of the final season. And Julia Jacklin provides the music with an exclusive live track from the Paste Studio. The Paste Podcast is hosted by Paste co-founder and editor-in-chief Josh Jackson and engineered by Bob Mallory. You can watch Julia Jacklin’s full Paste session and read all about Amy Glynn’s guide to Who’s Definitely, Possibly Going to Die This Season on Game of Thrones. Listen below, or better yet, listen on iTunes, Google Play, Stitcher, Spotify or the new app from our podcast partner Himalaya, and subscribe!